New guy here. 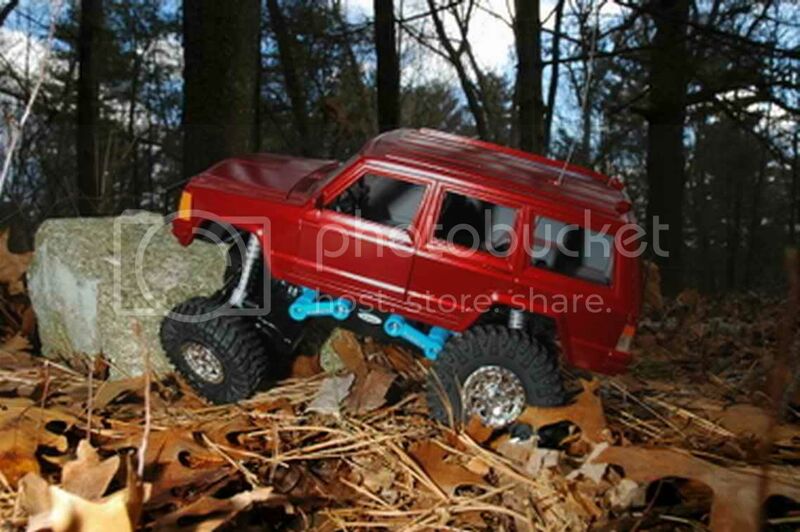 I'm building a scale crawler using a plastic Jeep Cherokee body. 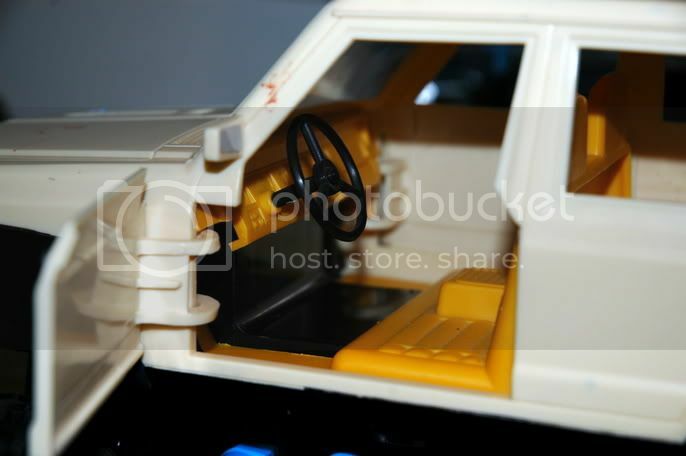 I have the body and interior retro fitted. The next step is some body work and paint. 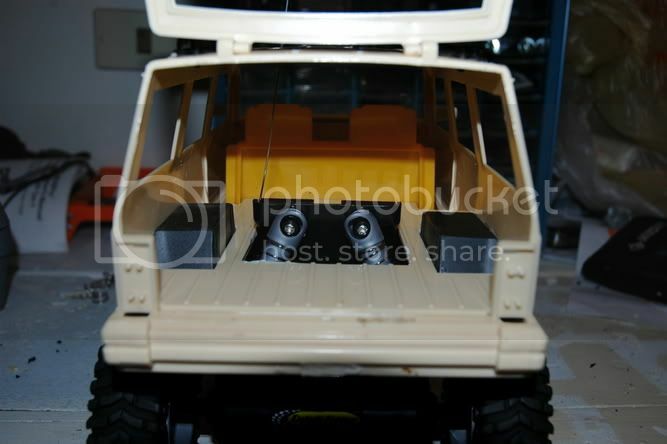 The body even came with working lights which be after paint. I cut the coild and had to extend the wheel base about 1/4" to make it look scale. Last edited by gorilla_skater; 02-07-2006 at 04:39 PM. A few more pics. I'll update after paint. I got it from Ebay a few years ago for my son. He was into dinosaurs and we rented a Land of the Lost series (90's version) and they had a commercial for the toys. Of course they weren't in stores, so I found them on Ebay. He has since grown out of that stuff so he let me have it. 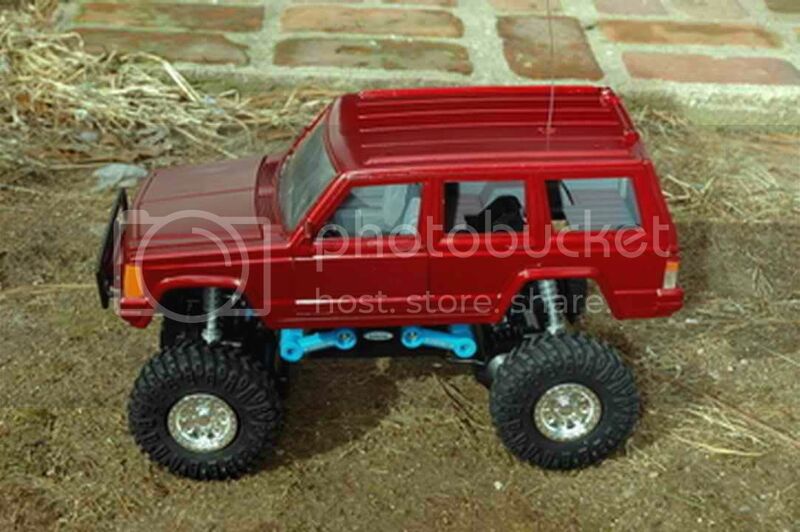 I've got a 98 XJ that I'm about to build up so yeah, it's cool to have an RC to match. I say check Ebay, but also antique stores, flea markets and tag sales. I'm going to have to start searching high and low to find one of those bodies. Im jealous!! I need one of those bodies. Sweet, Nice body. We need a vid man. 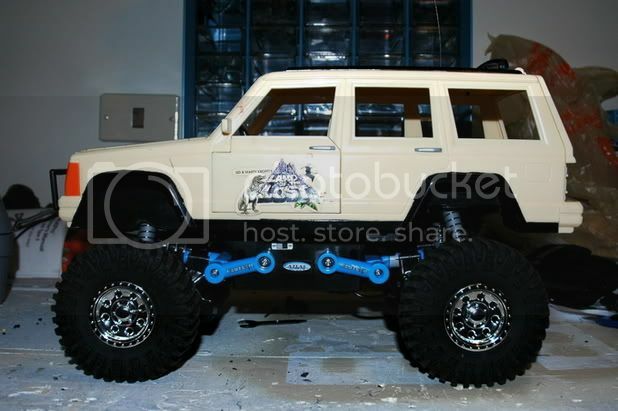 I bet the next one of those XJ's to show up on Ebay is gonna get bid up. 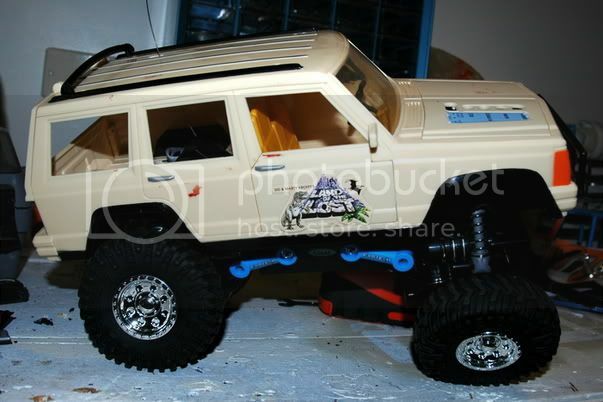 Cool to see XJ guys on this forum. @Fatwreck, Nice Rig! Here are the updated pics. Still need to paint in the detail, but it's getting there. As soon as putfile is back up I'll post a vid. Last edited by gorilla_skater; 02-08-2006 at 08:39 AM. That looks so good.....I'm totally jealous. Yeah erikrs301... There is just something about XJ's. I'm on my second. We need someone to find one and make some vacuum mold repops! i see you painted the interior too, that had to be a PITA. 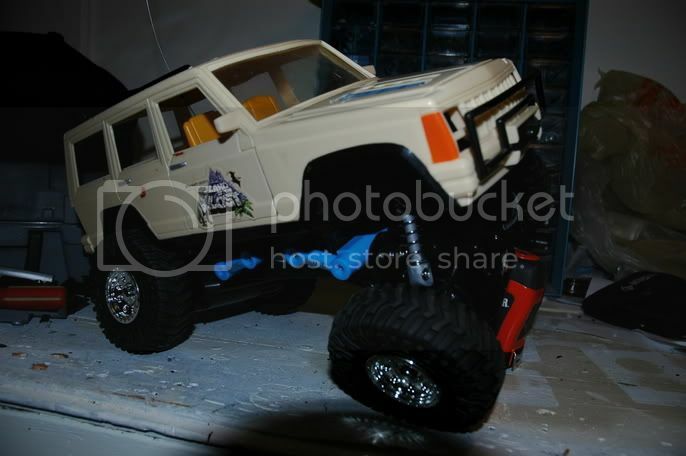 any pics of the xj in action?